Pina Colada rooibos - Monsieur T.
Picture this: juicy coconuts and ripe Caribbean pineapples in a cup. In Quebec, our winter’s suddenly less painful, are they not? 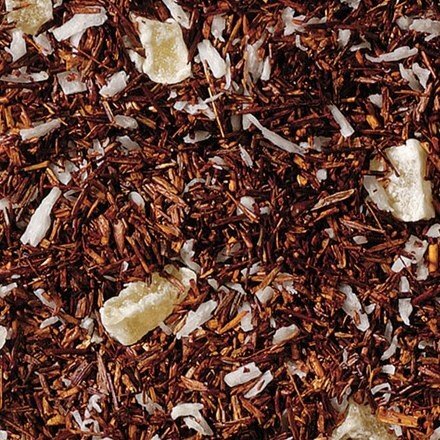 Naturally caffeine-free, this rooibos combines the creamy side of coconut with the fruity scents of pineapple to create a tasty and relaxing tropical blend. Excellent hot or cold, this rooibos is as good as it looks. Contains: Rooibos, pineapple cubes, coconut flakes, flavors.